Let’s set aside the fact that you’re essentially getting two games for the price of one here, Puzzles & Dragons: Mario Bros. Edition is an extremely fun and addictive time from start to finish. 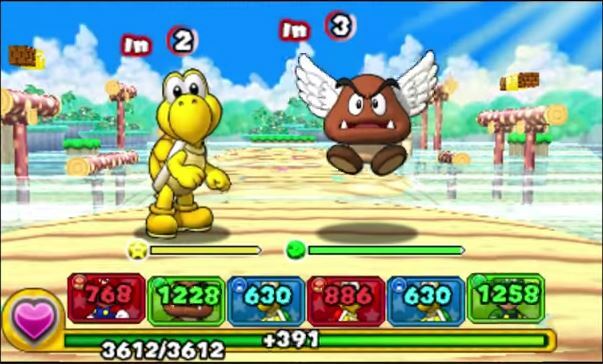 What may seem like a simple match three puzzler then throws in a shot of turn based battling, customization and layers the entire thing in a familiar Mario skin. And of course this is just half the package. While the idea of adding an established franchise into a puzzle game should feel cheap and like a mere attempt at gaining attention, here the Mario brand actually works at easing you into what would otherwise be a series I’d usually pass on. The way the game is laid out in the familiar eight worlds we’re used to seeing from the portly plumber, the recognisable faces littered throughout and even the soundtrack itself all help make the game feel far more welcoming. It was an ideal time killer on train rides, lunch breaks and before bed. And like I said this is just one half of what’s on offer with Puzzles & Dragons Z available to those looking to delve a little deeper into a full-fledged RPG adventure. Funnily enough it was this time last year I was singing the praises of the first Jackbox Party Pack in my 2014 top ten – Fibbage, You Don’t Know Jack and Drawful all delivering laughs aplenty. 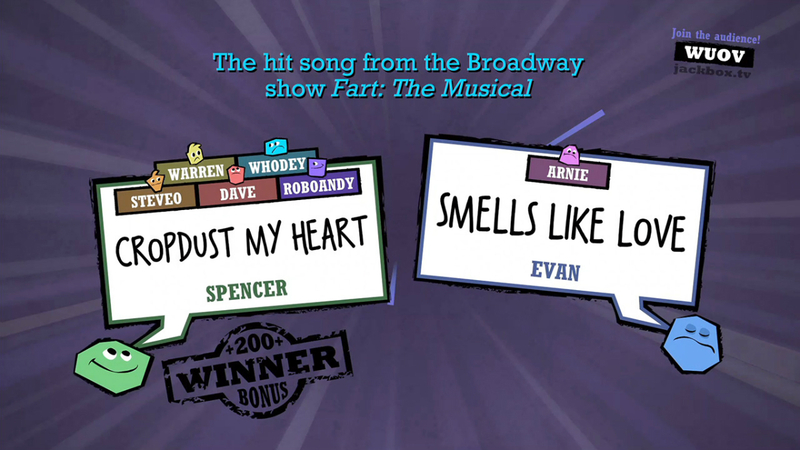 While the second party pack doesn’t quite contain the same consistency of quality, Quiplash alone has had me laughing more than any other video game this year. Utilising the “play the game with your smartphone” idea that worked so well with the original Party Pack, Quiplash throws you random phrases where you’re then required to write a witty/clever/rude response that will please your opponents. While a large majority of the answers given in my games are probably too rude to even begin to write here, suffice to say this is the ultimate party game that will have you in stitches every time. Just take a look at the image above and that should give you an idea of where the game will take you. I loved the original Xenoblade Chronicles which is truly saying something considering RPGs are not really my thing. Sure I dip my toe in every now and again, but it has to be something special to get me to return again. The wait for X feels like it’s been forever and despite only releasing in December I’ve already found myself pouring around fifty hours into what already feels like a worthy addition to the Xenoblade family. Exploring Mira itself is truly amazing. The sheer scope of the many environments is easily the most impressive and mesmerising any open world game I’ve played this year has delivered. Everything from the brightly alien colours to the monstrous beats that occupy them left me open mouthed. This is no small title with missions feeling themselves like their own mini adventure. Then after thirty plus hours you discover Skells, huge humanoid robots that allow you to speed around in a tank, glide across water and fly high across the amazing environments. Just when you think you’ve seen all the game has to offer, it throws you even more. While I’m not quite near the end of the game, rest assured I cannot wait to see it through and get back out in Mira to explore. 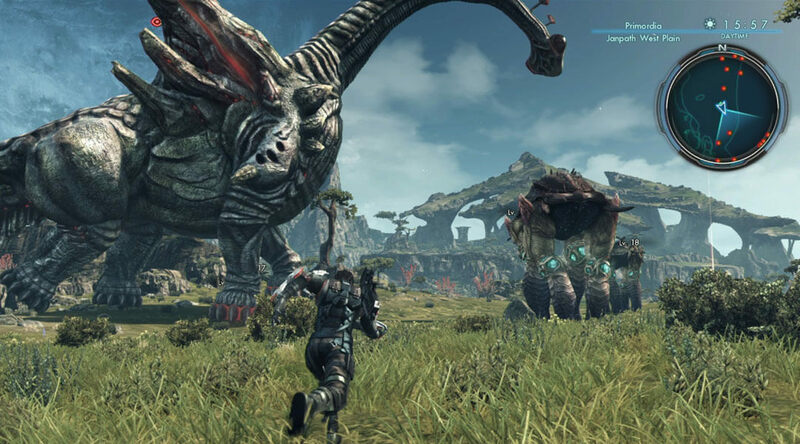 Xenoblade Chronicles X is big, vast and totally engrossing. Be sure to check out future parts for our remaining top titles of 2015.